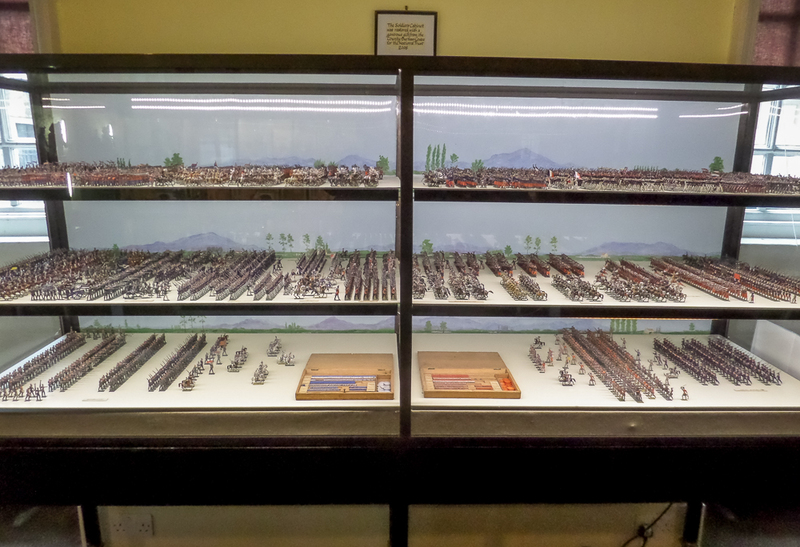 On a recent visit to Wallington, a National Trust property in the wilds of Northumberland in the north of England, I came across this very impressive collection of toy soldiers. Luckily for me, saving my usual blather, there was an information card. 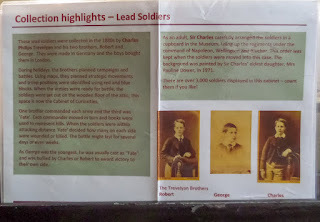 The pictures tell the story better than I can. 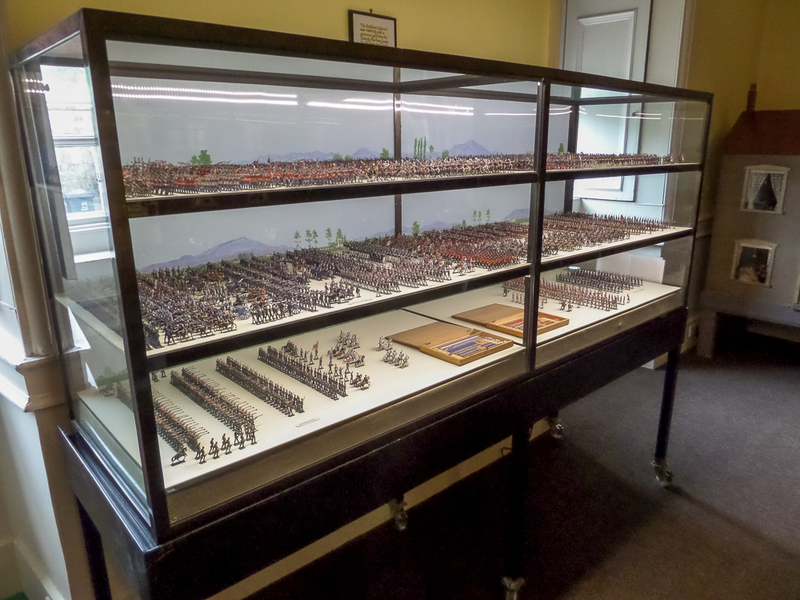 Now that's what I call Oldhammer! 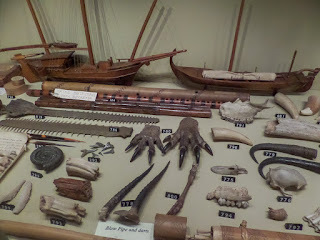 This last photo was from a cabinet in the aptly named Room of Curiosities. Amongst the stuffed birds, shells, rocks and all kinds of articles, was a pair of grey, furry claws. If you can guess what they are you did better than me. 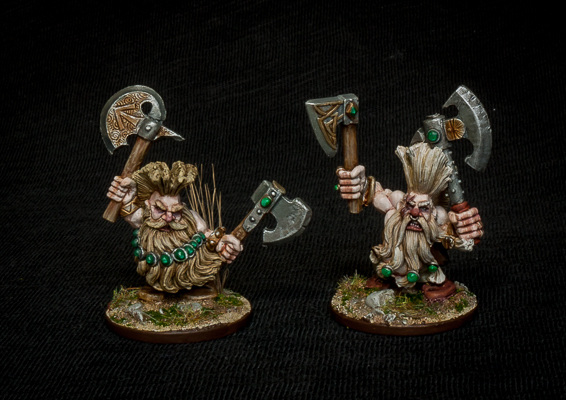 The last of the dwarf slayers are finally painted, making the unit the Magnificent Seven! 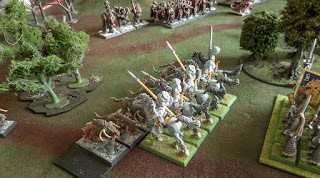 I need an eighth to make up a legal unit for Saga, it would be nice if I could get one final slayer to lead them into battle, if not I will have to go with a unit filler. The latest duo are a mixed pair. The figure on the left is a standard model and probably my least favourite of the unit - the pose is very strange and the beard filled with gems does not quite do it for me. I deliberately painted his beard a fairly boring brown colour to make him less noticeable in the unit. 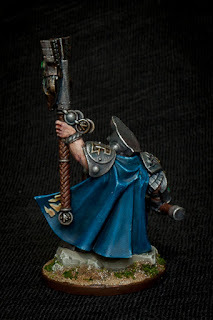 The figure on the right was originally a standard bearer, I converted his right hand to be holding an axe. 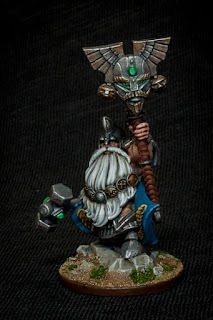 I need a break from painting dwarfs for a while, my usual three month attention span has taken effect. I will be putting my energy into to some of my other projects, probably a few varied, small jobs. 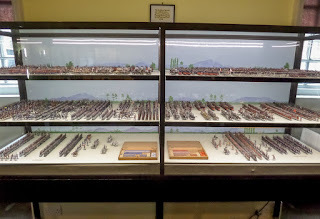 But I will be back to the dwarfs later in the year, hopefully before the end of summer. 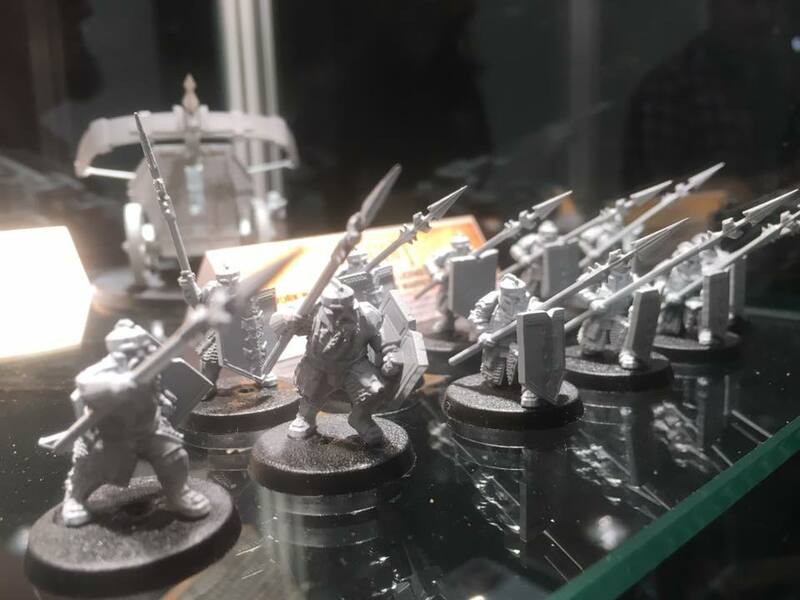 The dwarfs have a leader. 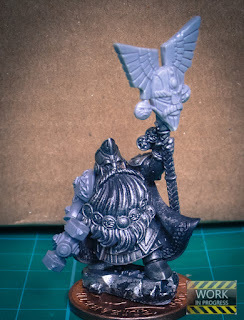 This is the plastic runesmith model, I replaced the book with a hammer arm from the hammerers set (obviously) and I converted the existing hammer head to a runestaff - it's a plastic banner top from an old plastic set, not sure which, possibly the dwarf warriors. 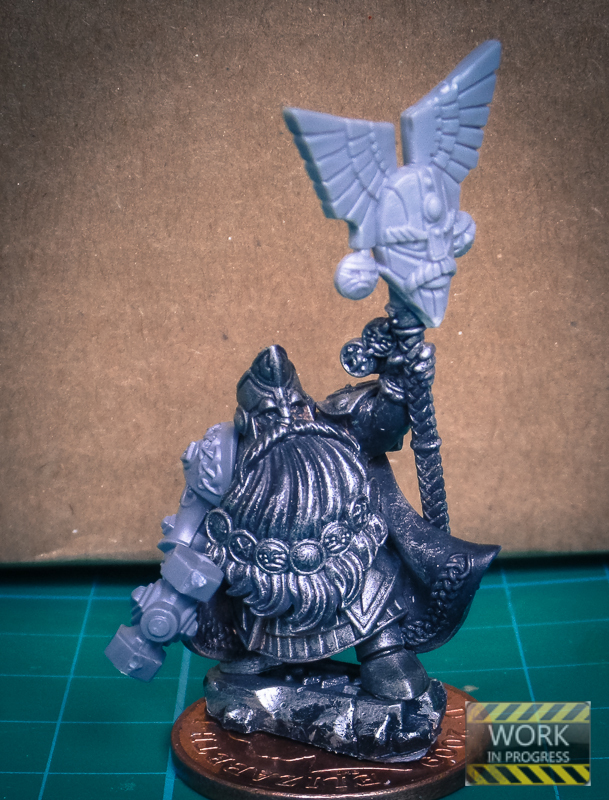 The figure was originally intended as a leader for my gunner unit, but I changed my mind and decided he was just right to lead the whole of my dwarf skirmish force into battle. He can be used as either a runesmith, or even as an army standard bearer (if I ever get to play games that need one). Right from the off I wanted his beard to be a pure white, and the rest of the palette was worked out from that. 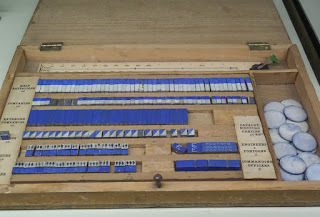 I find blue to be a good complement to white, both colours from the cool end of the spectrum. The jewels are also cool/neutral colours, to reinforce the harmonious colour scheme. I am pretty happy with how he turned out, the runestaff in particular I think works well for such a basic conversion. 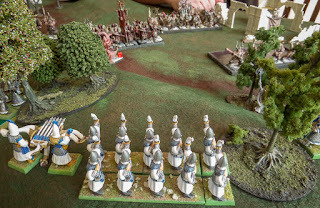 I miss Warhammer - the last time I played was almost three years ago. 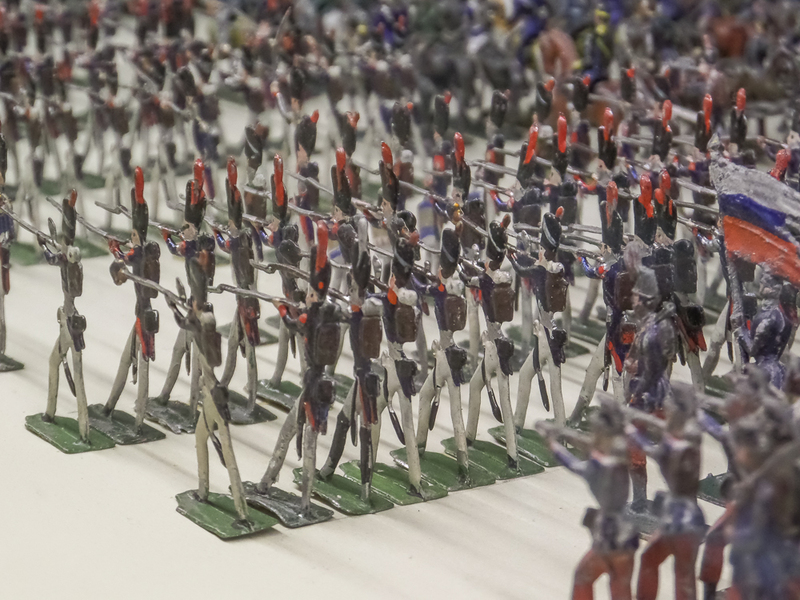 I have enjoyed playing many a skirmish game over the past couple of years, but missed the spectacle of the massed ranks clashing in mighty battles. So I was more than happy to introduce gaming buddy Steve to the venerable old system. The game we played was eighth edition, but using the older softback army books. I dug out my old high elf army (nearly twenty years old!) 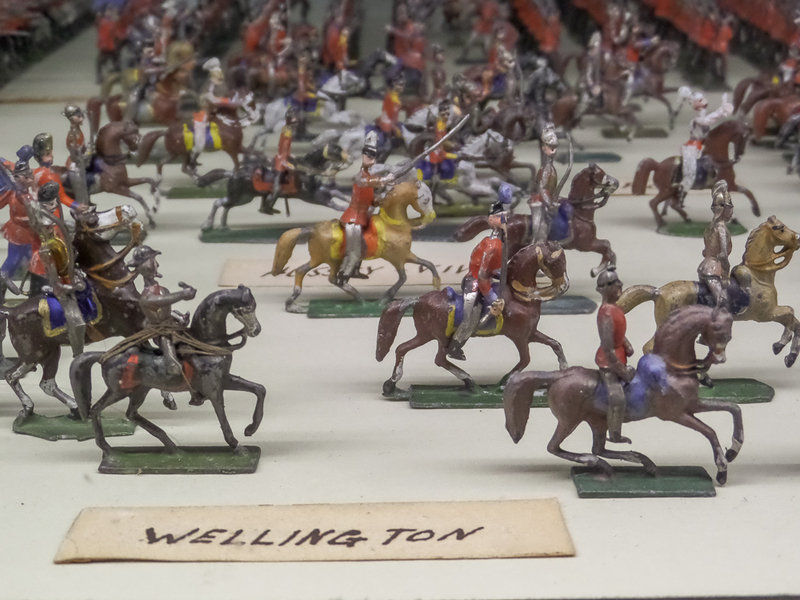 and totted up a list at just over 1000 points. 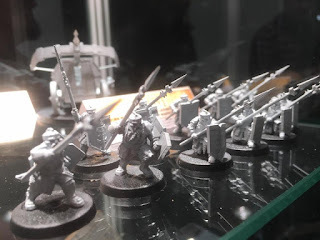 Facing them would be my newest army, the forces of Chaos, using many models from the Age of Sigmar boxset. 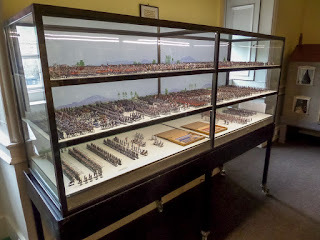 The game took place on my dining room table, at 5x3 probably a bit too small even for starter armies. 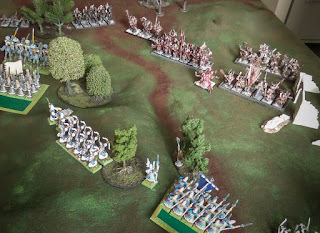 The elves stood back to make the most of their superior archery, and with some extraordinarily good dice rolling they managed to destroy a unit of marauders and a chaos spawn. 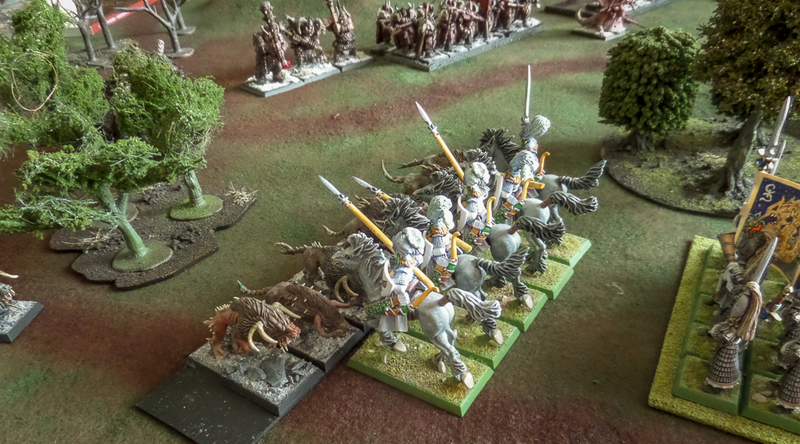 The left flank was well defended by a unit of Ellyrian Reavers, who managed to fend off ravening chaos hounds. 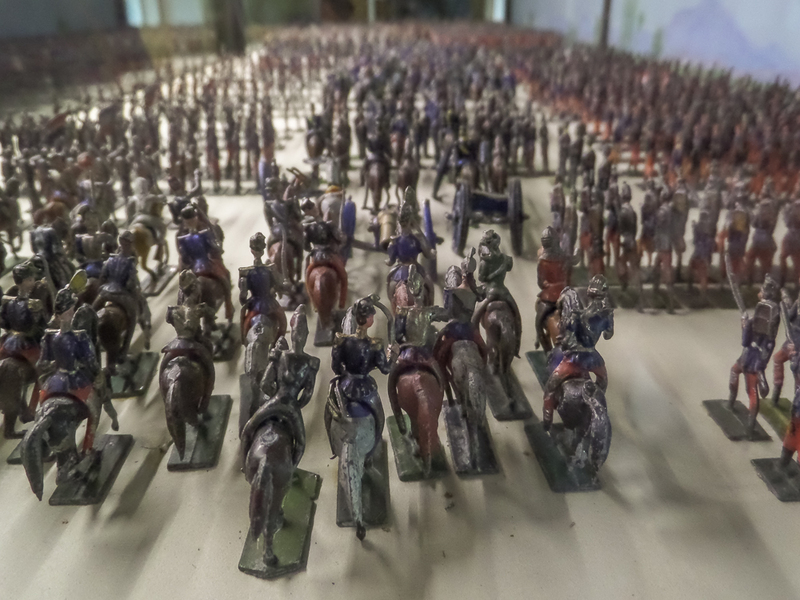 As the hordes of chaos moved closer, Swordmasters marched forward to intercept. I fully expected the elves to have the upper hand in the early part of the game, but to struggle a little when combat was joined. 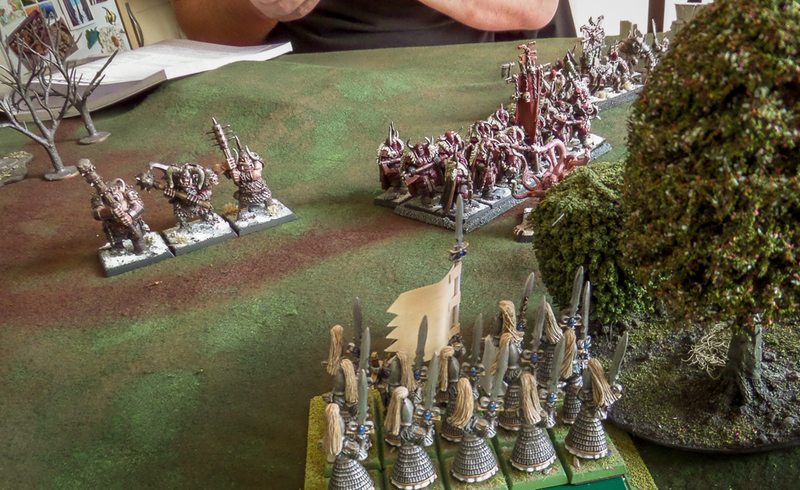 The Swordmasters charged into the flank of the advancing chaos warriors, risking subsequent flank charges from a chaos spawn and ogres. 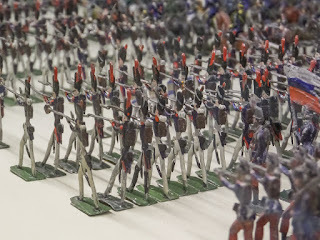 But the spawn was removed by missile fire and the combat was so decisive that the warriors fled, the Swordmasters pursuing them and out of harm's way. 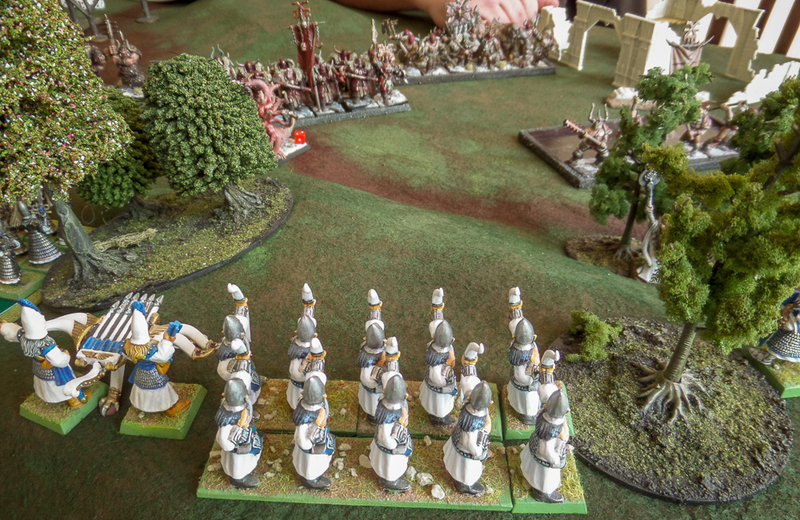 A late charge by marauder horsemen resulted in the slaughter of a bolt thrower crew, with panic spreading to two elf units, but in effect the game was over when the chaos warriors fled. 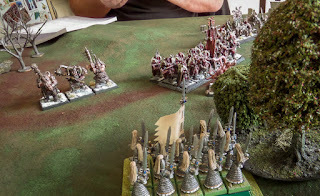 It was nice to play with my old elf army and the new chaos force. I really wanted the game to be much closer for the sake of my learner opponent, but it was one of those rare occasions when my dice just seemed to do all the right things (the last two panic tests being a late surge to the more usual results). 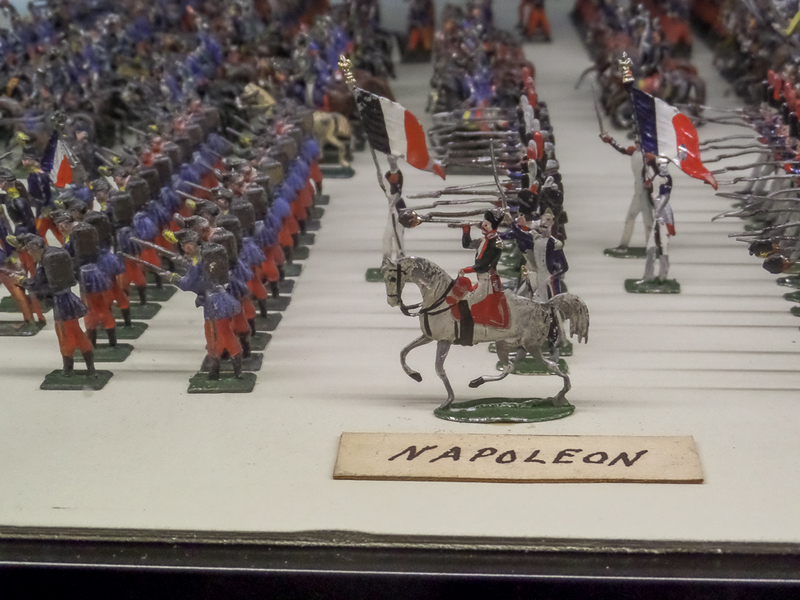 Still, he seemed reasonably happy and maybe will start a fantasy army of his own. A nice little refresher for me, before I plunge myself into the world of Total War Warhammer. 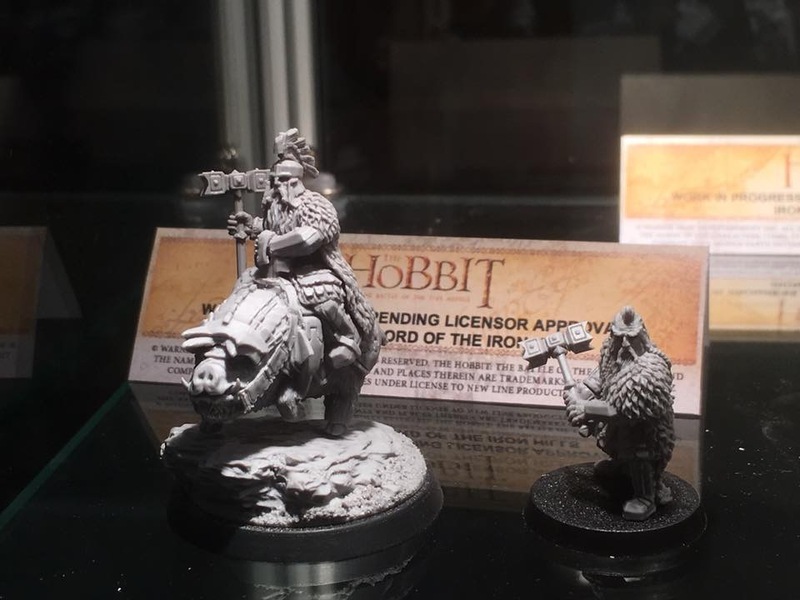 It seems that Games Workshop have not abandoned the Lord of the Rings range. At the Warhammer fest event over the weekend details have emerged of some new models, including these rather nice Iron Hill Dwarves. The game system has been taken over by ForgeWorld, so they will probably end up being at the premium end of the price range, but it's always nice to see new figures for the game. It's a system that I came to a bit late, I managed to pick up quite a few cheap plastic items on ebay but some of the more desirable old metals are far beyond my price bracket. It has been mentioned that some of the old, discontinued range will be re-released, so I will be keeping my eye on developments there. As much as I love the dwarfs, there was one news item that really got my attention. 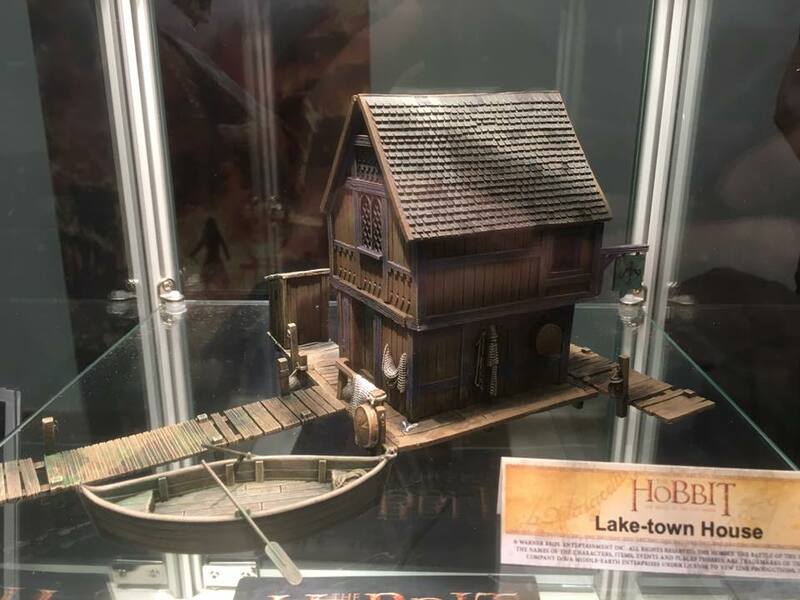 This Lake Town house was in the ForgeWorld cabinets, but some forum posters are claiming it will be a plastic kit and that it is scheduled for release later in the year. If this rumour is true, that would be amazing news. 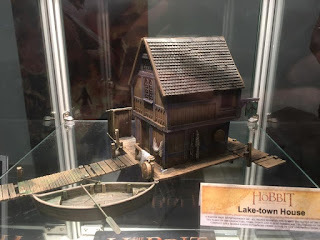 I have been looking to build some viking/Rohan/dark ages terrain for a while and have always balked at the idea of scratch building stuff like this. 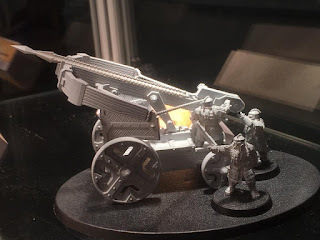 While there are some reasonable mdf kits around, none of them quite capture this kind of level of awesome detail. If it is true, I think I have my xmas list sorted already! 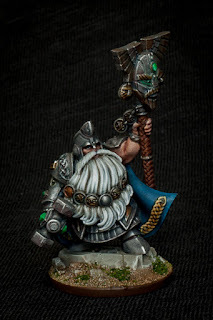 This will be the first real character for my dwarf warband. I have a ranger captain and the slayers are all very characterful in themselves, but in pure game terms, this is a character. 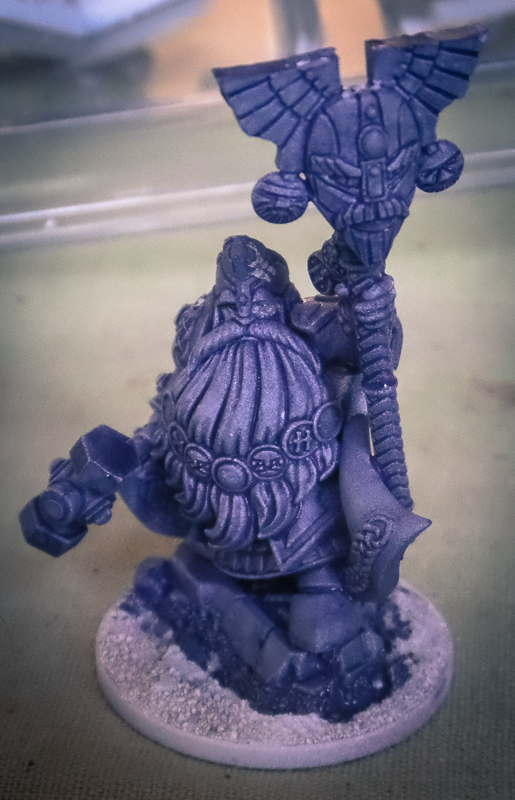 It's a runesmith I picked up on ebay, then stripped and briefly started with some metals. However, I wasn't happy with the original pose holding a book and a hammer, so a little search through the bits box and I came up with this. The staff head is perhaps oversized and I may tweak it somewhat. EDIT (next day) I made a little alteration to the staff head, primed and washed the model.